Can I maintain my lifestyle when I retire? What happens if I die prematurely? What if I need Long Term Care? Give you answers to important questions. Address some of your financial concerns. 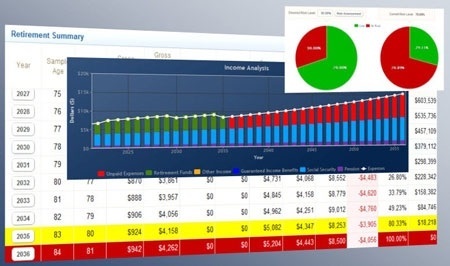 Provide an easy to understand analysis specific to your situation. Provide you options now and into the future. To maintain your strategy on an ongoing basis. I welcome the opportunity to work together with you to develop a detailed and strategic approach regarding your financial future. I will create an easy to understand analysis specific to your situation. I encourage you to take advantage of this no-cost, no-obligation offer which could help give you a glimpse into your financial future.